A doer. That Terhi Pölkki has always been. In shoe manufacturing, she’s participated in each step, seen the production closely, and her own brand Terhi Pölkki was found because she wanted to change those steps. From the beginning, she knew that her materials would be vegetable tanned leather and wood and that in Terhi Pölkki shoes an important principle is to respect environment and people. Shoes for Terhi, are objects with a story. And how Terhi ended up working this way is an interesting story too. An important principle for designer Terhi Pölkki is to respect environment and people in her production. Photo by Timo Anttonen. Being a fashion designer has been Terhi’s dream since she was 11. As a child, she was encouraged to draw, sew and test, and she admired her mum, who sew a lot and did a lot of crafts. She was raised not to throw anything re-usable away. After finishing high school, at the age of 19, Terhi worked in a shoe store and started dressmaking studies in Helsinki. With a laugh Terhi memorises that she didn’t find clothes interesting at all, she actually hated the pattern making more than anything. But the three-dimensional shoes – those she found fascinating. In one course, she made a pair of sandals and got excited that in her work she could combine product design and her interest in fashion for shoes. 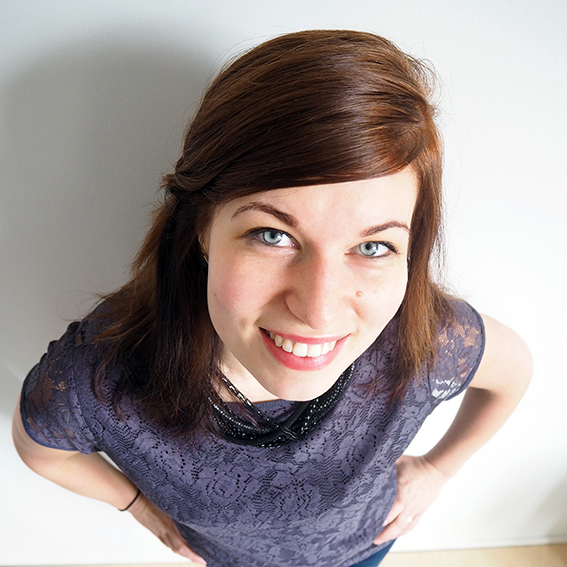 When it was time to do an internship, Terhi decided to test herself at Janita´s shoe factory in Seinäjoki. Her thought was that if she bared the factory’s work, she would apply to study shoe design, the BA degree in Wetterhoff, Hämeenlinna. Terhi grabs the brand’s new Mila shoe from the table and explains the stages. Someone sews just this stitch here, and the other opens this seam here, then it’s handed to the next person. Only the pros sew the zippers, the most challenging part in shoe making. Terhi memorises back in her internship days at Janita’s that there was only one woman who could sew zippers with a high-tech machine. Jacob sneakers enjoying the sun. Photo by Timo Anttonen. The shoe factory didn’t scare her away – contrarily it opened a whole new world. With the education of dressmaker and the experience of seeing and practising all the shoe making stages and selling shoes for seven years, Terhi continued to study shoe design in Wetterhoff, Hämeenlinna. For a doer like Terhi, the school’s practicality suited well. After Wetterhoff, she continued her master’s degree at the London College of Fashion. London was already familiar to her as she had spent time there as an exchange student, and also, she wanted to the same school as her idol Jimmy Choo who studied there in the early days of his amazing career In 2008, she did her graduation thesis on shoes made of reindeer leather and was also rewarded as The Young shoe designer of the year 2008 in Finland. 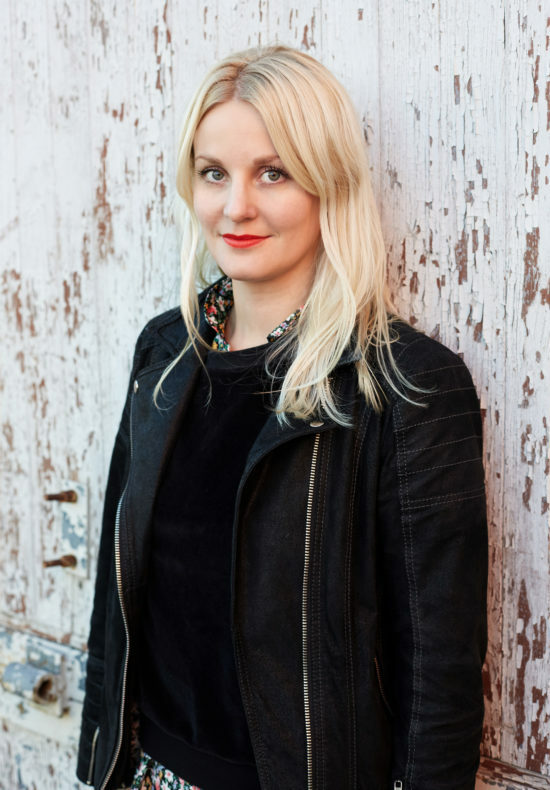 Terhi decided to stay in London after graduation, and she ended up working as a junior shoe designer, designing shoes for high-street brands such as Topshop, Urban Outfitters and Asos. There Terhi got to know the shoe industry of the high street brands: the designing team made up to 25 pairs of styles per week, at best, and the shoes were in stores within two to three months after the drawings had left the teams’ desks. Terhi also travelled quite a lot to low-cost production countries like Brazil, India and China. Although she learned a lot, got valuable information, she was also bothered by the working conditions she saw. Especially in China, money was the driven matter. It was then when Terhi began to ponder moving back to Finland and establishing her own women’s shoe brand. 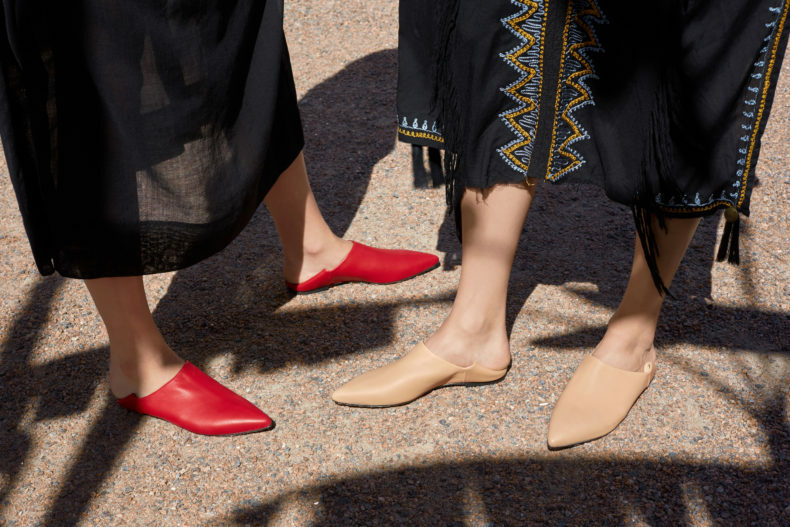 A shoe brand that would operate in a sustainable way, respecting both people and the environment equally. A brand that could actually make a difference in a small scale. Fringe sandals. Photo by Timo Anttonen. When creating her own brand, two things were clear to Terhi. First, the production would happen in Europe because of the EU legislations and duty-free shipping, and second, she would use ethical and biodegradable materials as much as possible in her shoes. Comparing leather and vegan shoes makes Terhi shrug. Moroccan inspired babouche slippers. Photo by Timo Anttonen. The Terhi Pölkki shoes’ puzzle pieces – leather, buttons, shoelaces and soles, just to name a few – are made locally in a small, family-run factory in Sao Joao da Madeira, Portugal. Terhi has reassured the good, ethical working conditions herself while visiting the factory frequently and has met all the 15 employees who work in the company with the quality of craftsmanship. The leather in Terhi’s shoes is high quality and vegetable tanned. Using chromium or heavy metals in the dyeing process were a definite no for her since chromium isn’t fully biodegradable and has downside effects for the people handling it. The environment is taken into consideration in the tanning process by reducing water consumption, drying the leather only at room temperature and re-using the solid waste as fertilisers. Alongside the vegetable tanned leather, Terhi uses Finnish national tree, birch. The internationally famous wooden clogs are manufactured in a small factory in Myrskylä Finland by an artisan who has made clogs since 1967, though now the new generation is taking the business in their hands. The vegetable tanned leather for the clogs comes from Kokkola region in Finland. Making a pair of Terhi Pölkki clogs has 23 different stages. Photo by Timo Anttonen. The Terhi Pölkki brand was launched in October 2011, and her capsule collection was also presented in Who’s Next trade show in Paris 2012. Terhi Pölkki launches a new collection twice a year, and her touch of Scandinavian minimalism, femininity and practicality is heading firmly to the international market. Especially the wooden clogs have succeeded in the States with the Scandinavian tough edge and high-quality finishing. 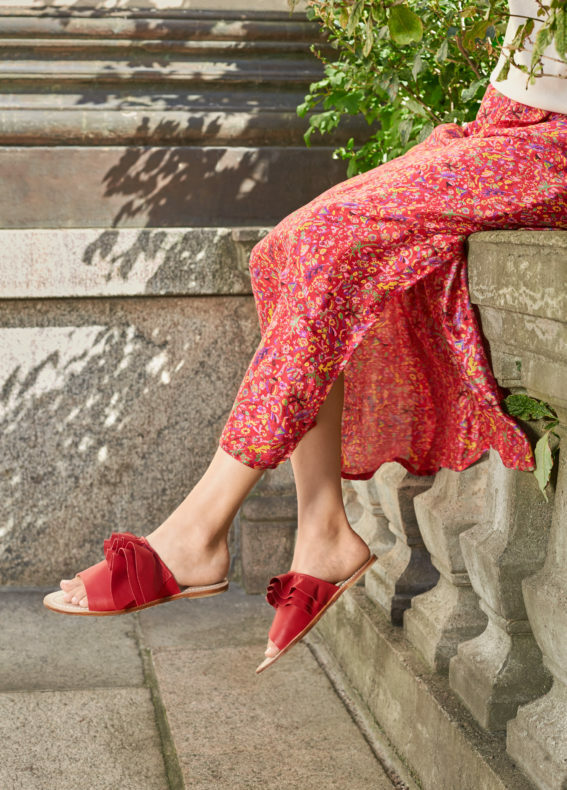 Terhi Pölkki’s Spring-Summer 2017 shoe collection is available in Weecos, the brand’s website and in selected stores in USA, Switzerland, Germany, China, Lithuania and Dubai.